Lord & Hardaway LLP is a premier law firm. Our service in each of our practice areas is highly regarded. We are not, and do not strive to be, the largest law firm measured by number of offices or lawyers. Our goal is to be the firm of choice for clients with respect to their most challenging legal issues, most significant business transactions and most critical disputes. Our focus has been to develop longterm relationships with our clients, we seek always to provide excellence in client service, without regard to shortterm profit. 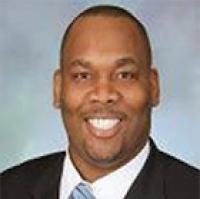 Johnathon P. Hardaway III is a Partner at Lord & Hardaway LLP. Mr. Hardaway is a well-rounded lawyer. A corporate attorney with an MBA, a certified sports agent, and a battle tested litigator. Before joining Lord & Hardaway, Mr. Hardaway worked for several years as an attorney with a top litigation law firm. Mr. Hardaway has taught as an adjunct professor at law schools including American University College of Law and the University of District of Columbia School of Law.